Champagne Velvet Anyone? 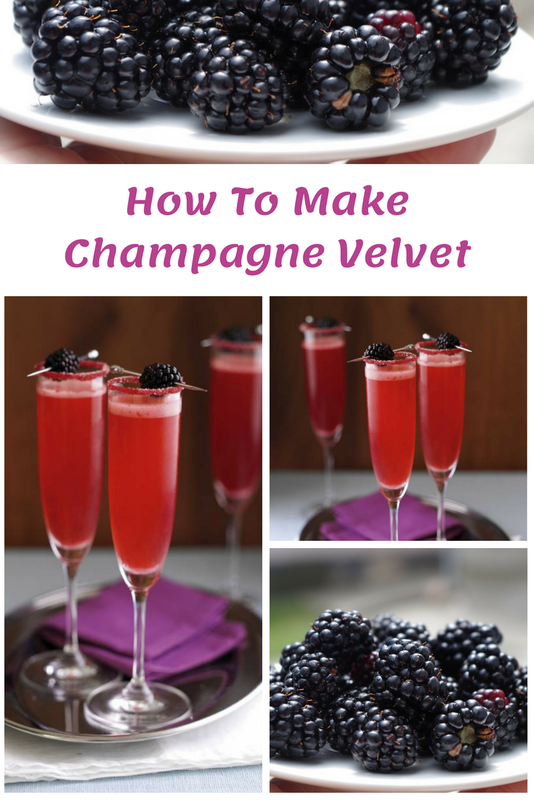 As it is not too far away from the party season, I thought what a great time it would be to share these champagne velvets with you!! How sweet are these to share with your friends and family over Christmas? 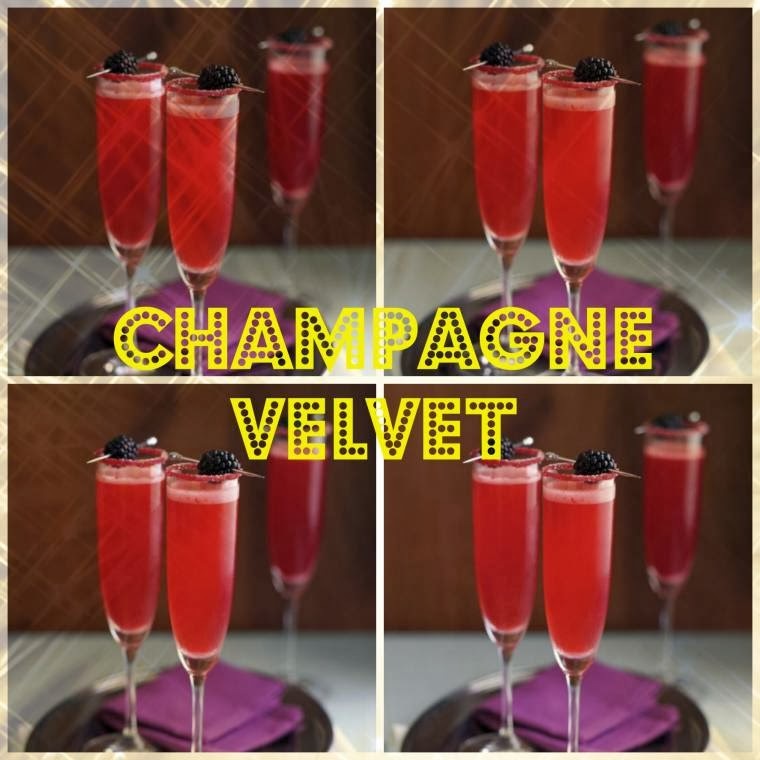 These Champagne Velvet drinks are easy to make and taste delicious. What’s not to love!? Reserve 6 of the blackberries and put to one side for decoration. 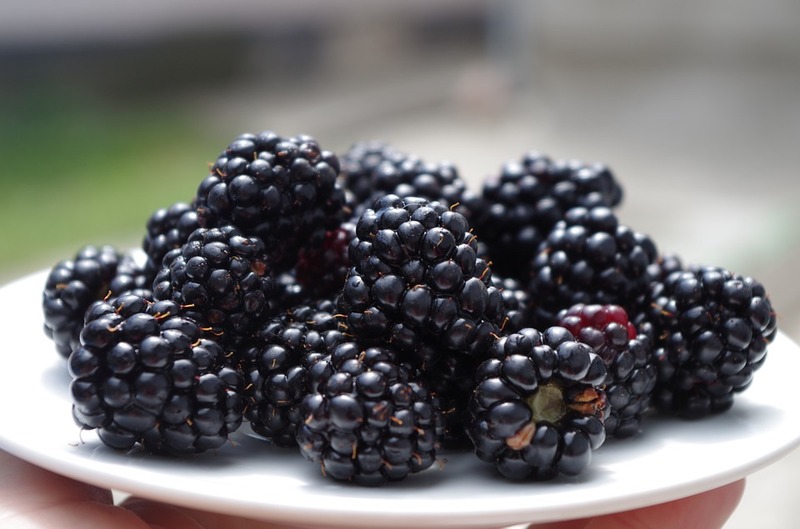 Place the remaining blackberries with 50g caster sugar in a saucepan. Heat gently until the sugar has dissolved then simmer for 5 minutes, stirring occasionally until the sauce has thickened slightly and is syrupy. Sieve the blackberry syrup over a bowl, gently pressing with the back of a spoon. Place a little of the syrup on a saucer and the remaining caster sugar on another saucer. Dip the rim of each of 6 champagne glasses first in the blackberry syrup, then in the caster sugar. 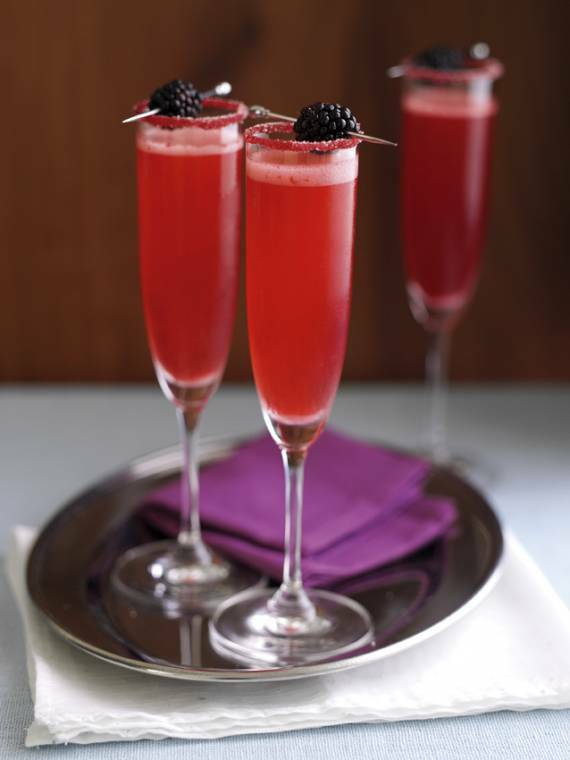 Blend the brandy with the remaining blackberry syrup and pour a couple of tablespoons of this into 6 Champagne flutes. Top with the chilled Champagne or sparkling wine. Skewer a blackberry with a cocktail stick and place on top of each glass. Do you fancy trying these out? How To Serve Champagne At Home. Great if you have some guest coming around. How sweet are these: Champagne And Raspberry Possets With Shortbread. Martha’s Strawberry, Champagne And Rose Cake. How adorable? Raspberry And Blueberry Champagne Jellies. Sweet for adult parties. Strawberry Champagne Cocktails. Or any time of the year. "Alternative Christmas Cakes: Gifts For Christmas"